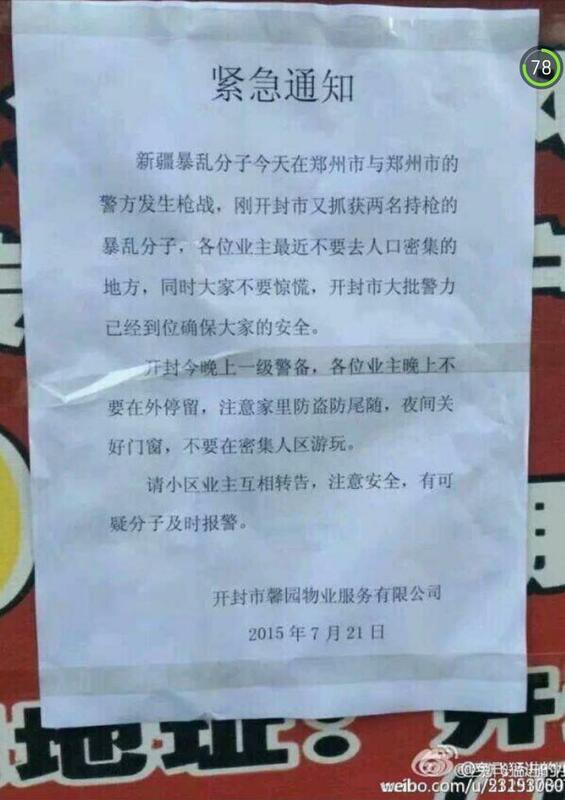 Chinese Communist Party leaders are deathly afraid that the Dalai Lama will not have an afterlife. Worried enough that this week, officials repeatedly warned that he must reincarnate, and on their terms. 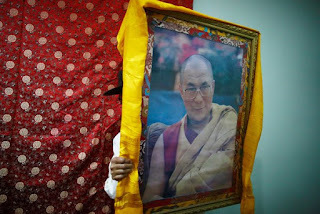 Tensions over what will happen when the aging 14th Dalai Lama dies, and particularly over who decides who will succeed him as the most prominent leader in Tibetan Buddhism, have ignited at the annual gathering of China's legislators in Beijing. Officials have amplified their argument that the Communist government is the proper guardian of the Dalai Lama's succession through an intricate process of reincarnation that has involved lamas, or senior monks, visiting a sacred lake and divining dreams. Party functionaries were incensed by the exiled Dalai Lama's recent speculation that he might end his spiritual lineage and not reincarnate, confounding the Chinese government's plans to engineer a succession that would produce a putative 15th Dalai Lama who accepts its presence and policies in Tibet. Their anger welled up on Wednesday, as it had a day earlier. Zhu Weiqun, a Communist Party official who has long dealt with Tibetan issues, told reporters in Beijing on Wednesday that the Dalai Lama had, essentially, no say over whether he was reincarnated. That was ultimately for the Chinese government to decide, he said, according to a transcript of his comments on the website of People's Daily, the party's main newspaper. "Decision-making power over the reincarnation of the Dalai Lama, and over the end or survival of this lineage, resides in the central government of China," said Mr. Zhu, formerly a deputy head of the United Front Department of the Communist Party, which oversees dealings with religious and other nonparty groups. He now leads the ethnic and religious affairs committee of the Chinese People's Political Consultative Conference, an advisory body that meets at the same time as the legislature, or National People's Congress. Mr. Zhu accused the Dalai Lama of trampling on sacred traditions. "In religious terms, this is a betrayal of the succession of Dalai Lamas in Tibetan Buddhism," he said. "The 14th Dalai Lama has taken an extremely frivolous and disrespectful attitude towards this issue," Mr. Zhu continued. "Where in the world is there anyone else who takes such a frivolous attitude towards his own succession?" The sight of Communist Party officials defending the precepts of reincarnation and hurling accusations of heresy at the Dalai Lama might have Marx turning in his grave. The party is committed to atheism in its ranks, though it accepts religious belief in the public. And President Xi Jinping has declared his fealty to Marxist-Leninist dialectical materialism. But the dispute over reincarnation has profound implications for Tibet, where the Dalai Lama remains widely revered more than half a century after he fled into exile in 1959. "I don't think the Dalai Lama would mind if you saw this through the prism of Monty Python," Robert Barnett, director of the modern Tibetan studies program at Columbia University, said in a telephone interview. "But he is reminding the Chinese that, from his perspective and the perspective of probably nearly all Tibetans, the Chinese don't really have a credible role in deciding these things." 哥伦比亚大学(Columbia University)现代藏学研究项目(Modern Tibet Studies Program)主任罗伯特·巴尼特(Robert Barnett)在接受电话采访时说，"我觉得，如果你用巨蟒喜剧团(Monty Python)的角度来看这个问题，达赖喇嘛是不会介意的。但是，他在提醒中国人，从他的角度、以及可能是几乎所有藏人的角度来看，中国人在决定这些事情 上，真起不了令人信服的作用。"
The Dalai Lama has not commented on the latest warnings from China. But Lobsang Sangay, the prime minister of the Tibetan government-in-exile, based in Dharamsala, northern India, was scathing on Tuesday, after the governor of the Tibetan autonomous region, Padma Choling, told reporters in Beijing that the Dalai Lama had profaned the Tibetan Buddhist faith by suggesting he might not be reincarnated. "It's like Fidel Castro saying, 'I will select the next pope and all the Catholics should follow.' That is ridiculous," Lobsang Sangay told Reuters on Tuesday. "It's none of Padma Choling or any of the Communist Party's business, mainly because Communism believes in atheism and religion being poisonous." The Dalai Lama turns 80 in July, and as he has advanced in years, he and the Chinese government have both probably kept in mind the example of the succession of Panchen Lama, another senior figure in Tibetan Buddhism. After the 10th Panchen Lama died in 1989, the Dalai Lama confirmed a boy in Tibet as the next reincarnation in 1995. But the Chinese government hid away that boy and his parents and installed its own choice as the Panchen Lama. The Dalai Lama has indicated that he does not want to experience the same fate. "Whether the institution of the Dalai Lama should continue or not is up to the Tibetan people," the Dalai Lama said in an interview with the BBC in December. "There is no guarantee that some stupid Dalai Lama won't come next, who will disgrace himself or herself. That would be very sad. So, much better that a centuries-old tradition should cease at the time of a quite popular Dalai Lama." Since 1995, the Chinese authorities have claimed an increasingly active role in the succession of the Dalai Lama and other Tibetan Buddhist leaders, Mr. Barnett said. Under the Qing dynasty, he said, the Manchu emperors who ruled China maintained a limited role in confirming the succession of the Dalai Lama and other Tibetan Buddhist leaders, but the Communist Party has demanded an increasingly hands-on role in intricate, often lengthy rituals of succession. "They finally ended up with the state deciding whether people could reincarnate," he said. "The lamas are left with a role that is in a way token in that process." Tibetans are sure to reject any future putative Dalai Lama handpicked by the Chinese government, Dicki Chhoyang, the head of the Department of Information and International Relations of the Tibetan government-in-exile in Dharamsala, said in a telephone interview. "The person selected by the Chinese government is just as much a victim of the situation as anyone, so there's nothing personal held against that person," she said. "Communism, in theory, is atheist, so we're just like this is too much." Tibetans, however, remain convinced that the Dalai Lama will ultimately continue his lineage of leading monks of the Gelugpa school of Tibetan Buddhism, a succession that dates from the 14th century, Mr. Barnett said. The Dalai Lama's warnings that the succession might end, he said, are best understood as a way of encouraging Tibetans to focus on the issue and the options. "The Tibetan people would never have faith in a so-called reincarnation appointed by the Chinese government," Tsering Woeser, a Tibetan author based in Beijing who is critical of Beijing's policies in her homeland, said in an online interview. "But I believe that the Dalai Lama will reincarnate." Copyright © 2013 The New York Times Company. All rights reserved. 噗～～"@nytchinese: 【中国要求达赖喇嘛必须转世】流亡的达赖喇嘛最近说不希望再转世，打算终结这个藏传佛教传统。中国官员予以批驳，说达赖喇嘛是否继续转世，决定权在中央。 by @ChuBailiang http://cn.nytimes.com/china/20150312/c12dalailama/"
逗逼政權。"@nytchinese: 【中国要求达赖喇嘛必须转世】流亡的达赖喇嘛最近说不希望再转世，打算终结这个藏传佛教传统。中国官员予以批驳，说达赖喇嘛是否继续转世，决定权在中央。 by @ChuBailiang http://cn.nytimes.com/china/20150312/c12dalailama/"